I am feeling a lil under the weather :-( but I am fighting it! I hope you guys are all having a wonderful day. Yep...lovin' this outfit with the scarf! This casual with a kick outfit is gorgeous I love it . I'm feeling under the weather and spent the day in my hubby's pyjamas! Note to self - must try harder! Cute outfit! 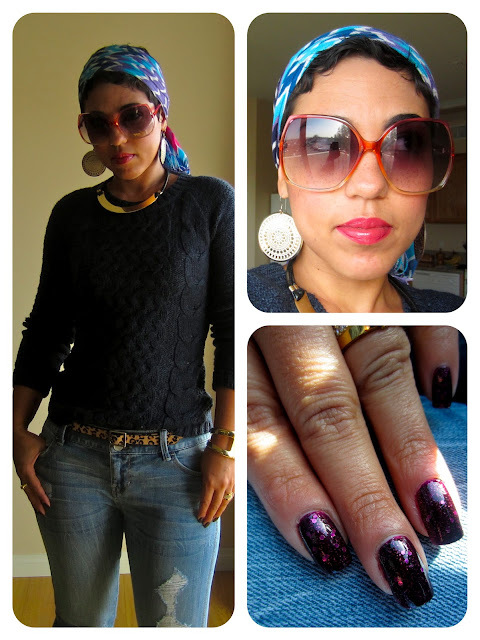 Love how you incorporated the scarf into the look.